The aggro-melodic, Tex-Mex style Punk Rockers, Pinata Protest are bringing their impassioned live show and button accordion back to PRB! Amigo The Devil has been challenging the expectations of traditional folk, country music purists, and rock/metal fans alike with his morbid, yet oddly romantic, take on folk in way unlike any other. We’re really stoked to have ATD making his PRB debut! The Bridge City Sinners are a rowdy, train car folk with a hint of punk rock group from the streets of Portland. They are quickly gaining steam so catch them at this intimate club show while you still have the chance! 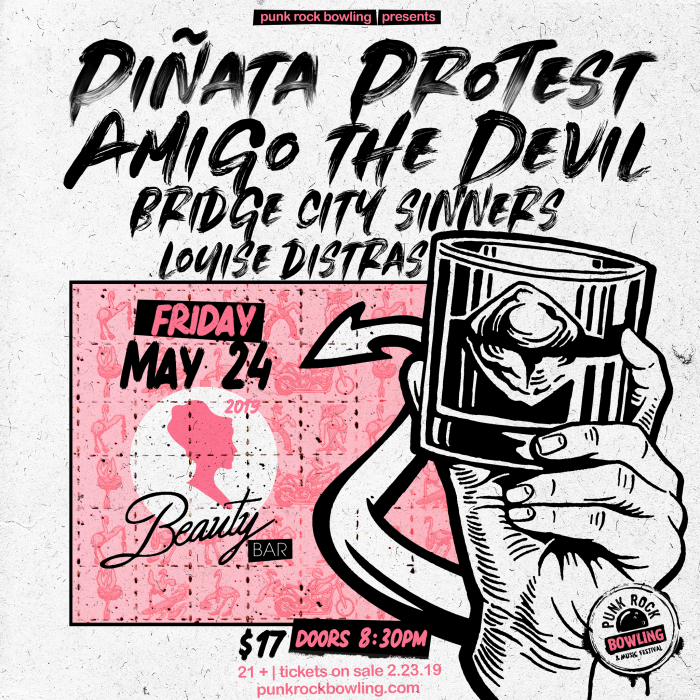 Louise Distras from the UK will be there to kick the night of with some of the most passionate punk rock anthems that will get you singing out loud!